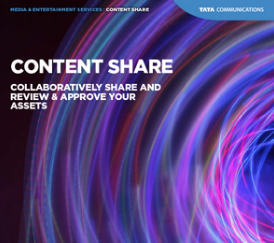 TATA Communications™ integrates ConceptShare OEM to create Content Share, part of the TATA Media & Entertainment Ecosystem. 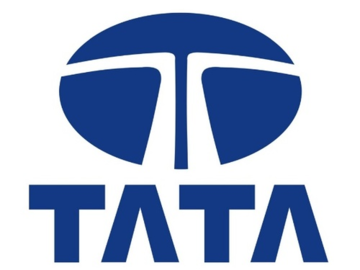 We'll be happy to show you how ConceptShare and TATA Communications work together to streamline your marketing operations. Sharing, playback and review are causing major headaches for production studios/broadcasters. The majority of content owners are still managing asset review and approval through inefficient processes that introduce significant and unnecessary risk, such as increased production overhead, potential impact on content, risk to airdates and more. Content Share allows creative professionals to easily share creative assets with peers, clients, and other stakeholders who need to review and approve creative work. Content Share streamlines the creative review process and makes the experience as simple as if teams were working from a single location. Reduce the number of review cycles. Improve productivity with real-time reviews by providing clear and actionable feedback. Mark-up and annotate directly on assets to provide quick and frame-accurate feedback. Fewer mistakes and better communication lead to quality deliverables. Faster time to market with efficient and effective review processes. Increase marketing communication efficiency, agility and security; leading to fewer delays and greater accuracy. Meet deadlines with fast sign-off for different elements. Provide feedback on rich-media assets like images, videos, webpages, HTML5 banners, and more. Quickly compare asset versions side-by-side. Track review and approval statuses. Tie comments to annotations on all digital assets. Centralized information relating to reviews. Product Sheet - Collaboratively share and Review & Approve your assets.